Street photography is increasingly popular as people are able to wander in big cities with small cameras. 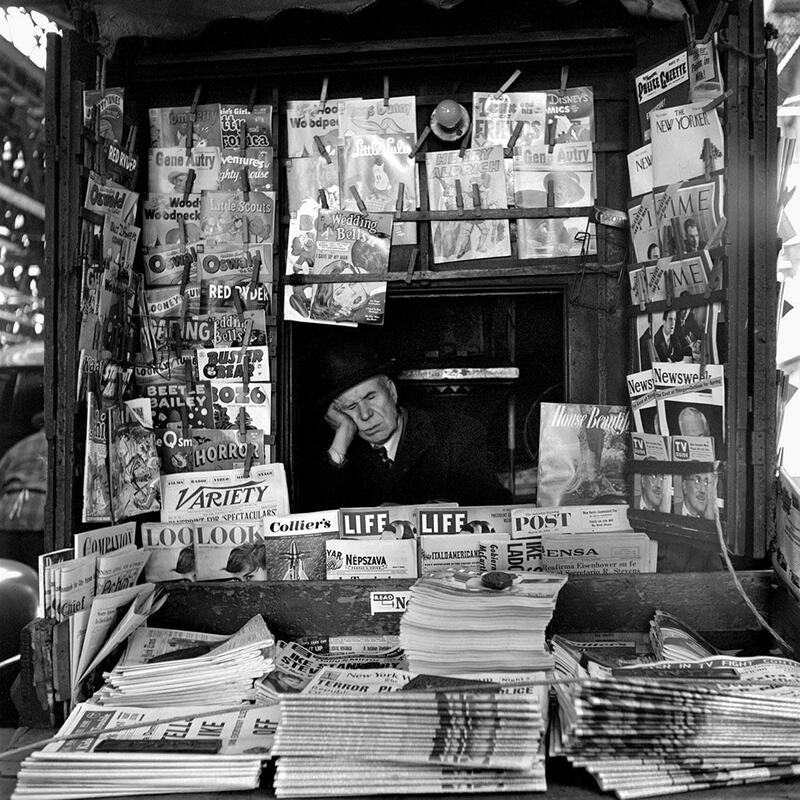 Many of the great photographers worked in the street, including Eugène Atget, Bernice Abbott, Henri Cartier-Bresson, Walker Evans, Robert Frank, Saul Leiter, and many others. This book shows that Maier was either influenced by other photographers, or developed her own style. Since she never published or exhibited her work, and wasn’t involved with other photographers, it’s hard to know how much she was influenced by others. 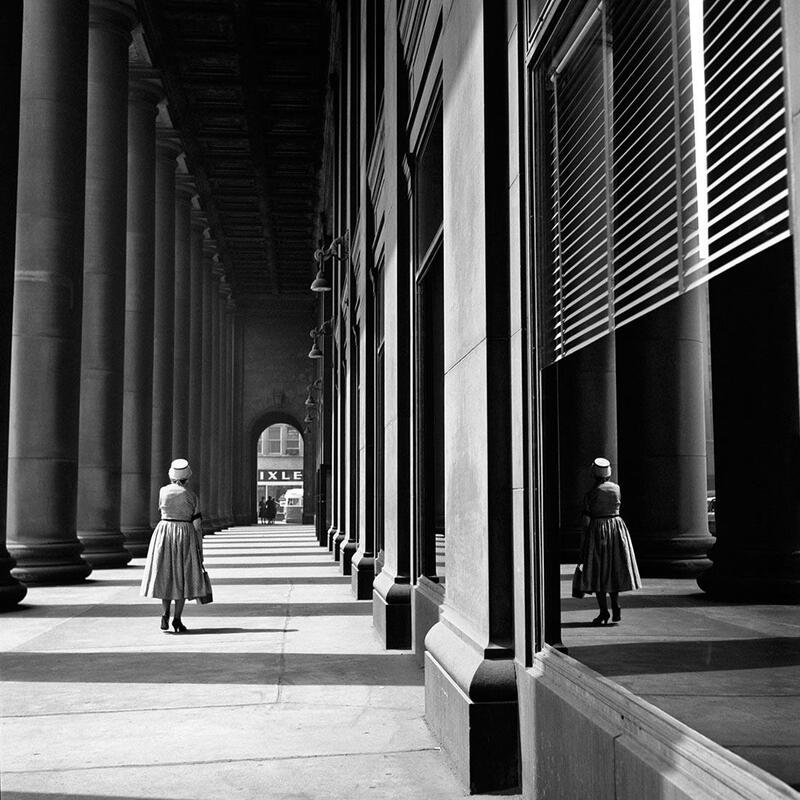 This book is full of fascinating photos of everyday life, mostly in Chicago. 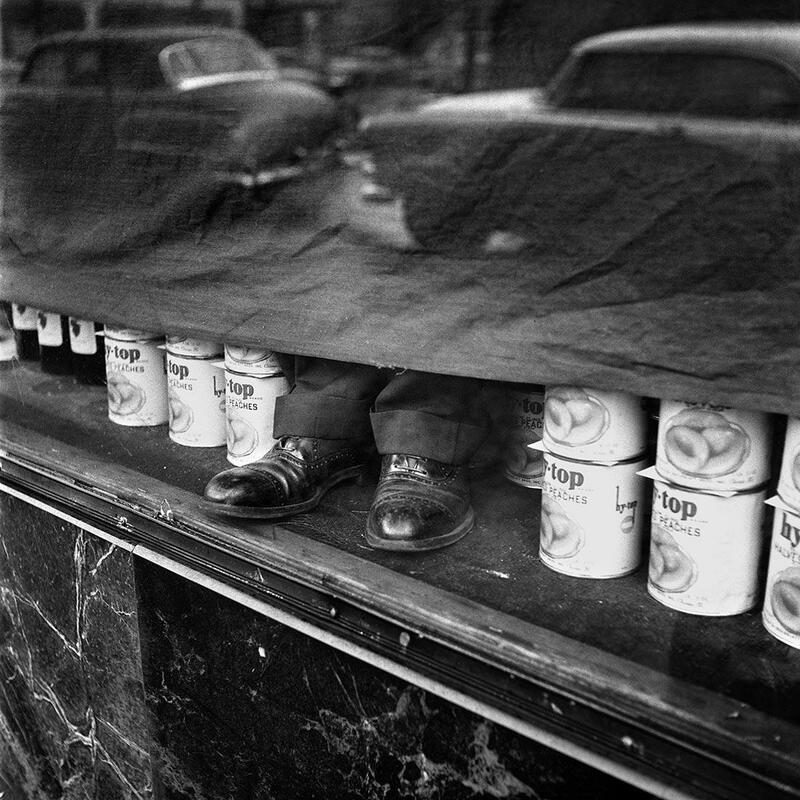 Maier had a true talent for capturing people at the edge, and people in surprising situations. And she took a lot of self-portraits, in windows and mirrors, which show a certain truculence toward the act of taking photos. Beautifully printed, this book has one problem: most of the photos are sepia toned. Since Maier herself didn’t make these prints, it’s hard to know if that would have been her intention. (She died in 2009.) I don’t see the point of toning the photos like this; they would look fine in plain black and white (as the images below show very well). This is a very interesting book for those who appreciate street photography. It shows just how much this genre of photography can express, much more than the more or less random images that pass for street photography these days on the photo sharing sites. Anyone who does shoot street photography can learn a lot from the compositions in this book, and anyone who appreciates photos will find a wealth of fascinating pictures.